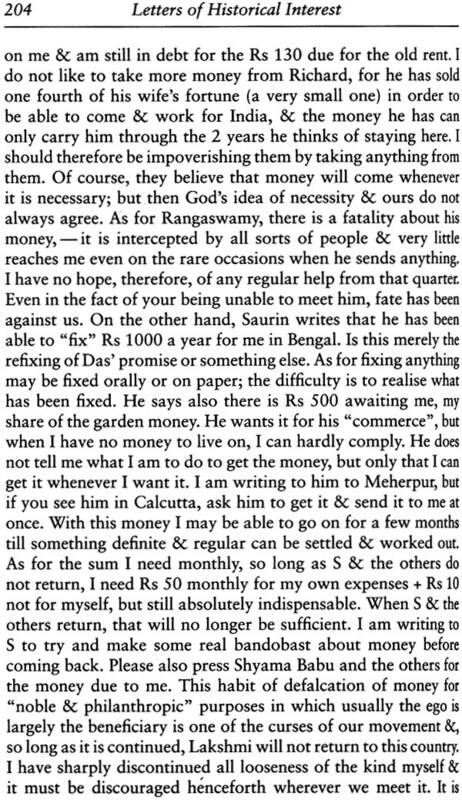 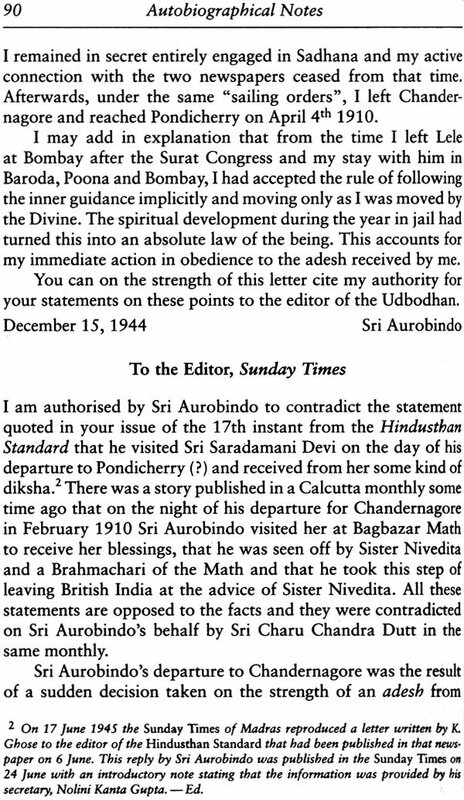 Sri Aurobindo was born in Calcutta in 15 August 1872. 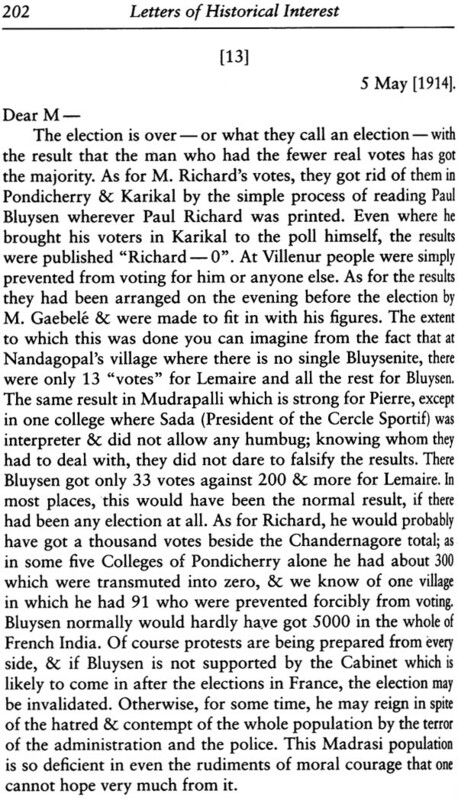 At the age of seven he was taken t England for his education. He studied at St. Paul’s School, London, and at King’s College, Cambridge. 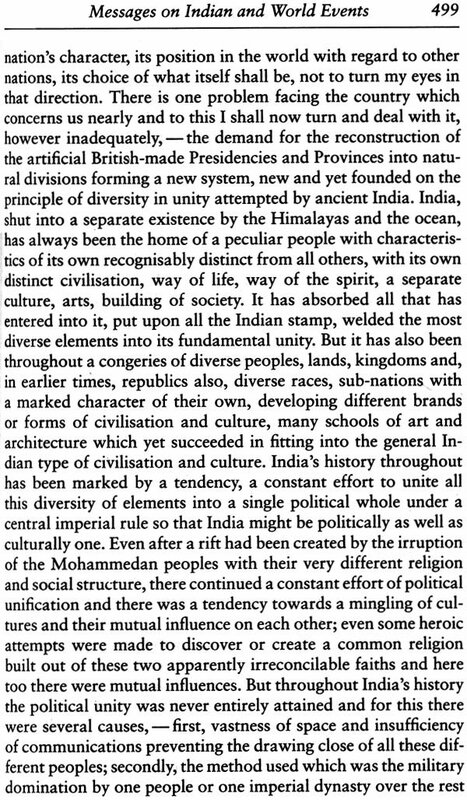 Returning to India in 1893, he worked for the next thirteen years in the Princely State of Baroda in the service of the Mahraja and as a professor in the state’s college. 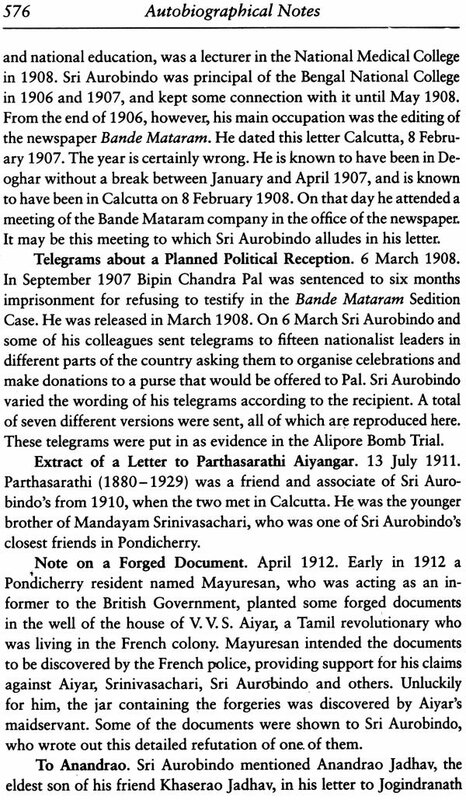 In 1906 Sri Aurobindo quit his post in Baroda and went to Calcutta, where he became one of the leaders on the Indian nationalist movement. 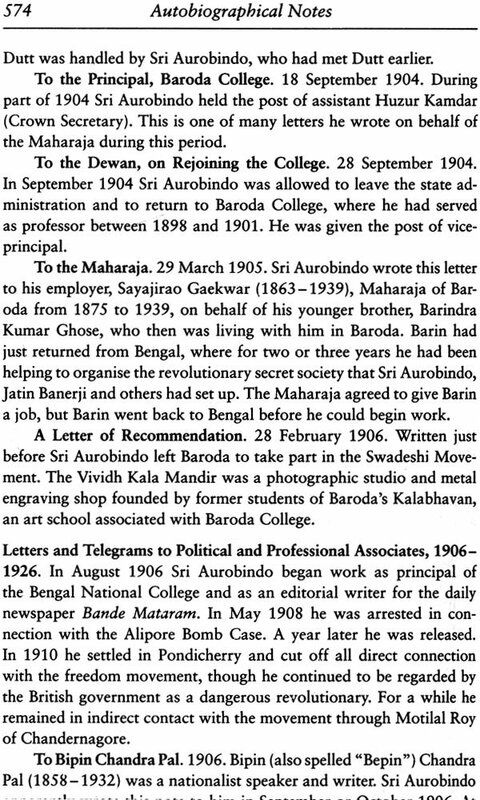 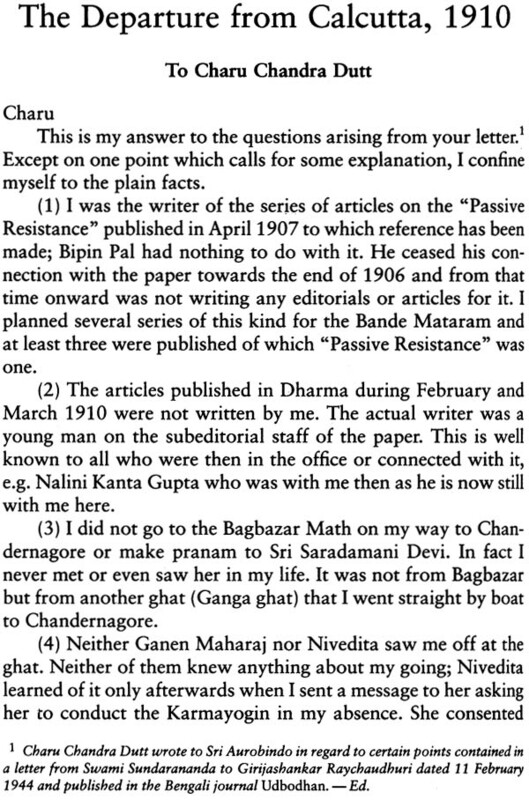 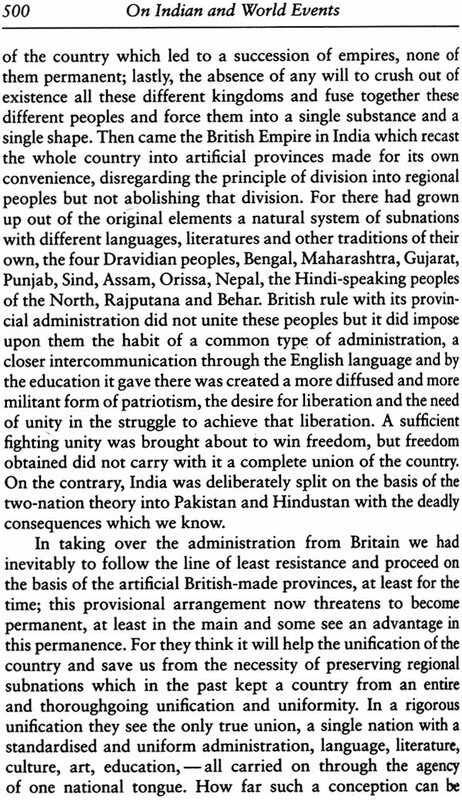 As editor of the newspaper Bande Mataram, he put forward the idea of complete independence from Britain. 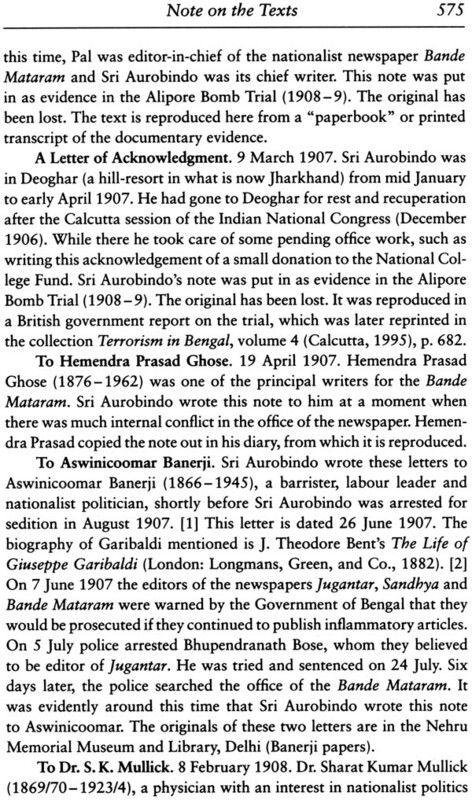 Arrested three times for sedition or treason, he was released each time for lack of evidence. 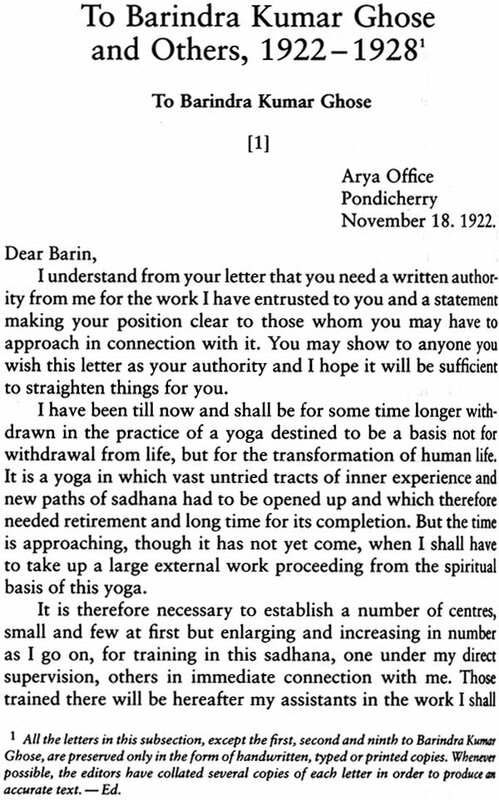 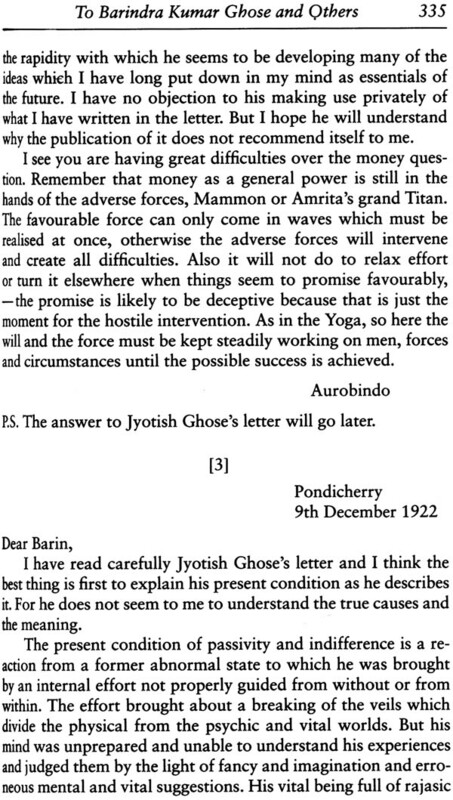 Sri Aurobindo began the practice of Yoga in1905. Within a few years he achieved several fundamental spiritual realisations. 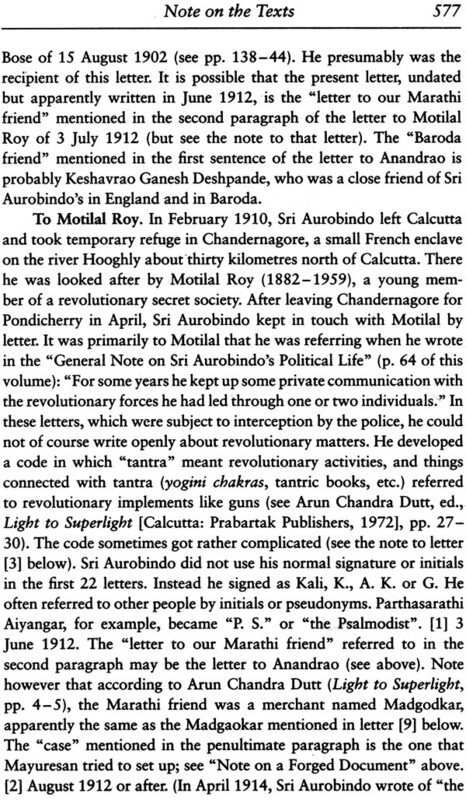 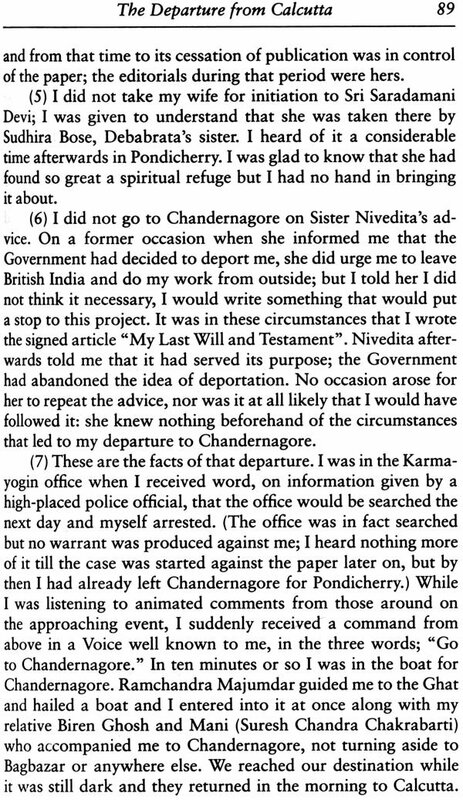 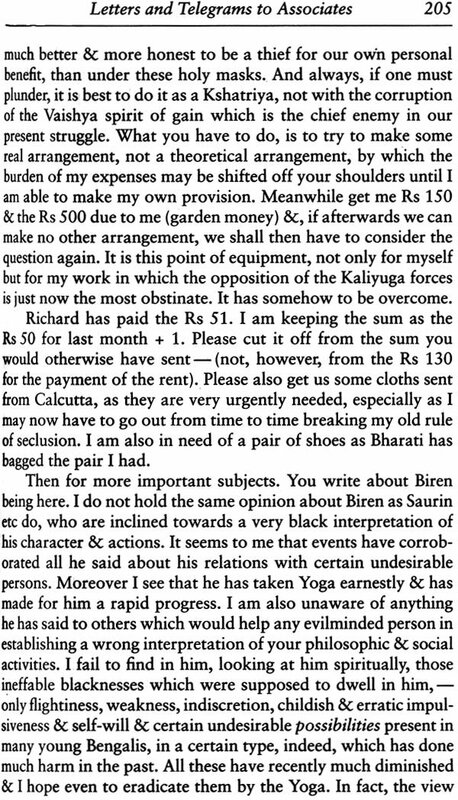 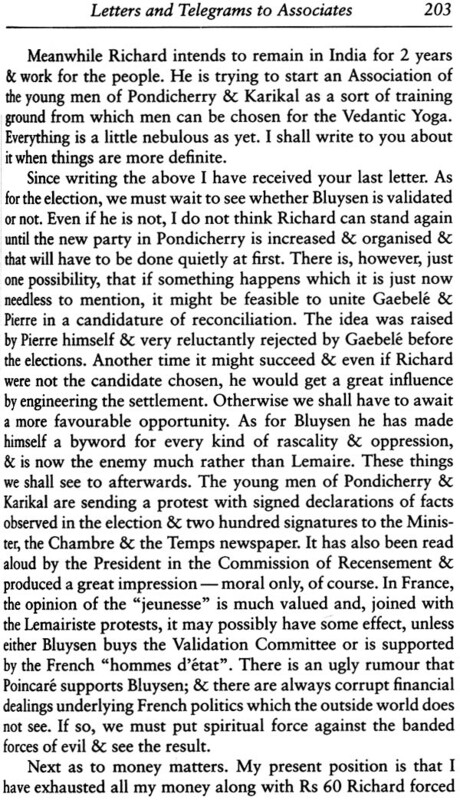 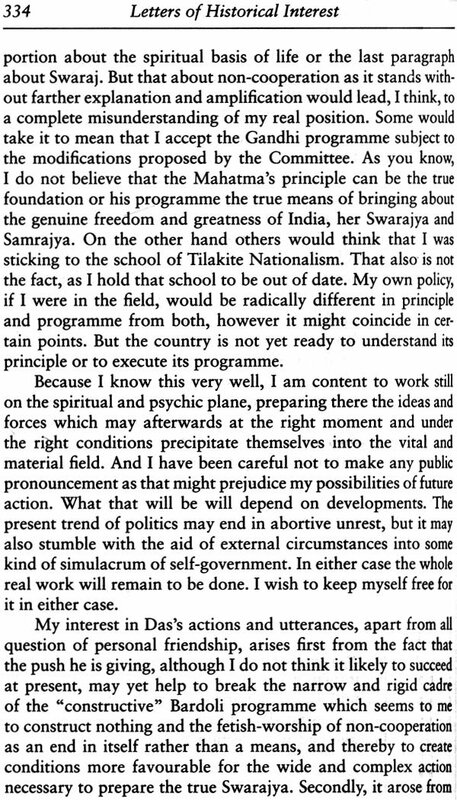 In 1910 he withdrew from politics and went to Pondicherry in French India in order to concentrate on his inner life and work. Over the next forty years, he developed a new spiritual path, the Integral Yoga, whose ultimate aim is the transformation of life by the power of a supramental consciousness. 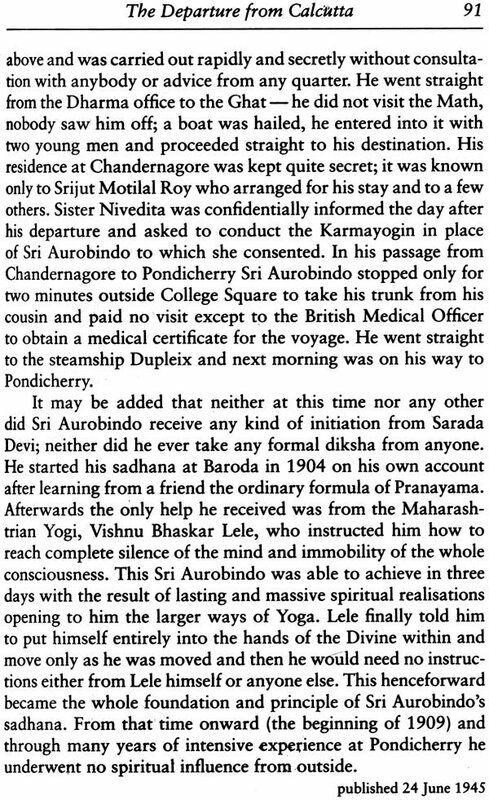 In 1926, with the help of his spiritual collaborator the Mother, he founded the Sri Aurobindo Ashram. 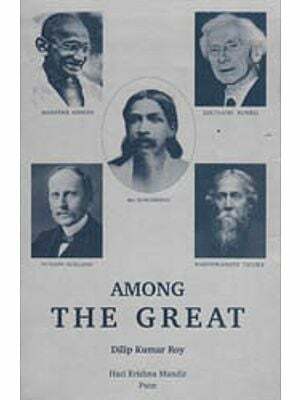 His vision of life is presented in numerous works of prose and poetry, among the best known of which are The Life Divine, The Syntheses of Yoga, Essays on the Gita and Savitri. 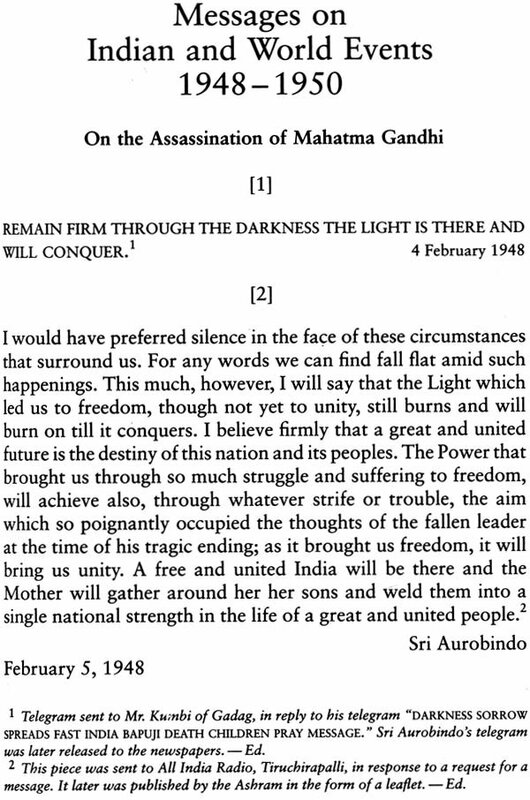 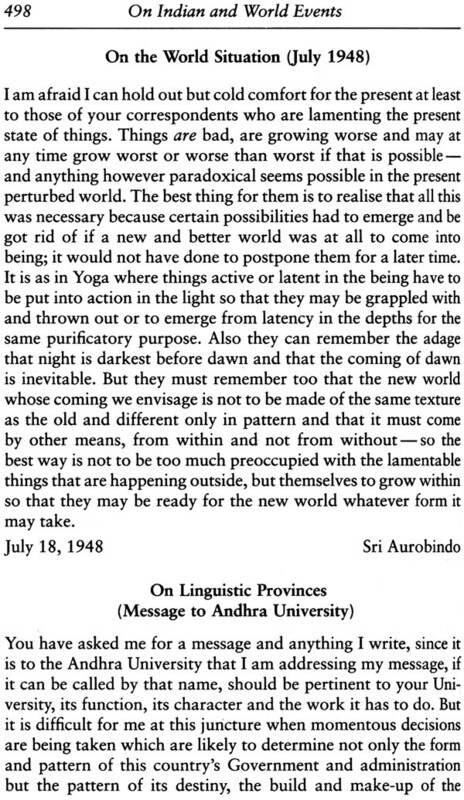 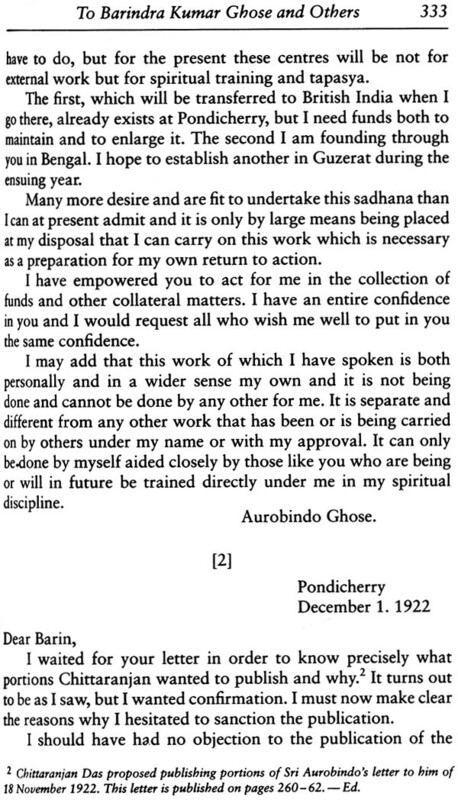 Sri Aurobindo passed away in 5 December 1950.